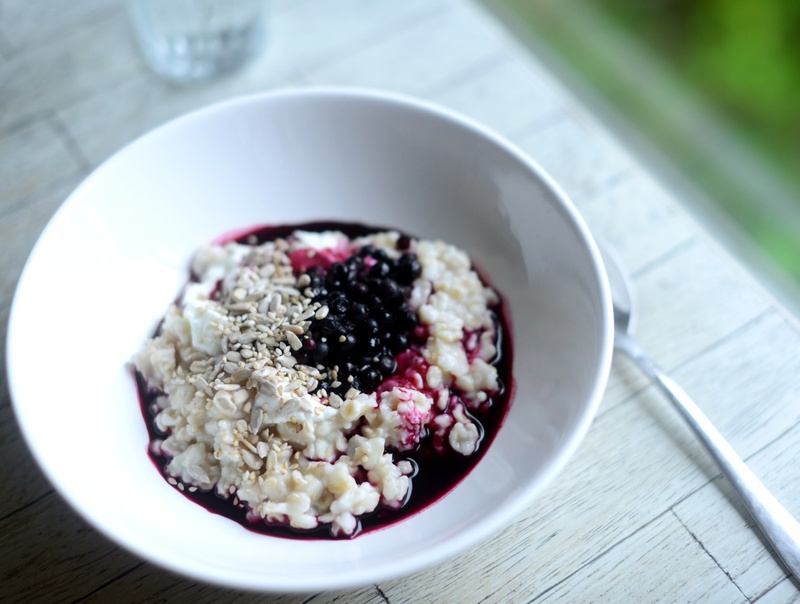 This recipe uses organic whole oats to create an amazingly creamy bowl of porridge. Best of all it requires minimal effort: just pop it on before you go to sleep and wake up to the fragrance of cinnamon and breakfast already made! Oats are a great way to start the day, and organic whole oats have the added benefit of being minimally processed. Oats contain complex and potent protein and are more soluble fibre than any other grain, meaning our bodies digest them slowly to keep us feeling fuller for longer. Research also suggests the oat’s outer casing- the bran- aids in reducing cholesterol levels. 1. In a slow cooker, combine the oats with 10 cups (2.5 L) cold water, salt and the cinnamon quill if using. Cover, stir and cook on low for 6 to 8 hours. 2. In the morning stir well. To thicken porridge remove the lid and turn onto high for half an hour, or until it reaches desired consistency. Turn off and allow to sit for about half an hour (this will loosen any porridge that may have stuck). 3. Divide among bowls, add your favourite toppings and enjoy. Any leftovers can be reheated the next day.